Everywhere we go we just find the OTT devices like iOS and Android mobiles, smart TVs and gaming consoles that are being run through the internet more attached to the users from where the consumers can surf the content. 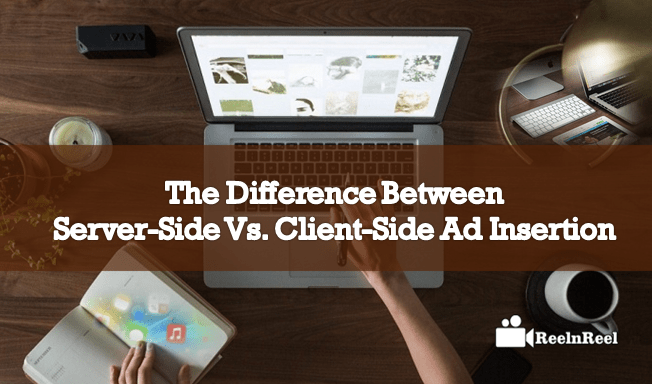 Server-Side Vs. Client-Side Ad Insertion has been explained here. Content monetization on OTT devices has become the challenge for all the creators and publishers. Many brands are choosing the OTT devices to reach the customers quickly. On behalf of that advanced strategies for video ad monetization have been implemented. Those are server-side ad insertion and client-side ad insertion. How are they both going to work? What is the purpose of using server-side ad insertion and client-side ad insertion? Which is having upper hand in providing the best services to the users? We can strike of all those queries through the following queries. With this technology, the content on the server is being stitched with the in-stream targeted ad that exactly reaches the consumers that increases the ad revenue. It type of video ad insertion will not let to have the download disruption while the ad is being played and it prevents the attack of adblocks while delivered to the consumers with real-time experience of viewing. It gives the experience of viewing TV for all other screens that generate the higher audience engagement. The single URL of it can be used to push the video ads to all multiple devices like mobiles, desktops, smart TVs, and gaming consoles, etc. at a time in dispatching the live or video on demand content. With the help of it, the audience engagement analytics can be obtained. When the ad is about to deliver to the consumers, then the streaming server will push notification to the ad server for the selection of the ad. Here the exchange of ads will be taken by revising all the ads then finally exactly matching ad will be assigned to display at the consumers. The media players that have been used the audiences will be loaded with the ads then the video player will get the video ad from the ad networks, and it will be dispatched to the end user. While the media player displays the ad at the user then call to ad server will be sent that again call the ad content and during this process, the video content will be paused by the device which causes the buffering that leads to involving the adblockers. These adblockers will block the content ad to play. The arrival of adblockers and intend watch the high-quality content has ruined the effectiveness of client-side ad insertion though it is helpful for media companies to monetize the video content. When the browser gets the ad from the ad server, then it will be immediately stopped by the adblocker as it contains the list of URLs of the ad server. Then the matched URLs from the ad server will be blocked by the adblocker. When the API is not being used, there may be more chances of occurring errors while displaying the ad. If you want to frame the best ad monetization strategies that improve your ad revenue at an instance, then one of the best choices is using the server side ad insertion. It is the fact that has been driven from the real-time experience of using the server side ad insertion. For the business brands, it can easily clutch the attention of audiences that stimulates them to be as customers.